When the last BDB book came out, I put off reading it for almost a year but after reading Blood Kiss, the first BDB Legacy book, I thought I would read it and finally read it back in February. I was underwhelmed but I knew I wouldn't give up on the Brothers because they were hidden away there and I loved them too much to bail. This book is like the first few in the series, it focuses less on the side stories and more on the Brothers. I LOVED THAT! I have missed these boys so much and they are all in this book as much as the early days of the series. The other side stories are there but they take less of the main bulk of the story. I skimmed a lot of The Shadows because I got so bored but I loved ever second of this, there was the right balance of all the storylines. Of course, this book focuses on one Brother in particular, Rhage. From the last book we know there's a distance between him and Mary and that comes to a head early in the book after a near death experience bring their issues to the forefront of their minds. They still deeply love one another but there is something missing in both their lives. A child. They have both come to a realisation that they want to be a parent, Rhage through seeing Beth and Wrath with Little Wrath and Mary through her work at Safe Place with a young pre-trans called Bitty. There are some amazing moments in this book between Mary and Rhage, you can just feel the lust and love radiating off of them both and you get to see a whole other side to Rhage in this book, a paternal side and if you think the man is loving as a hellren?! Wait until you see him father figure. My heart exploded so many times reading his interactions between Rhage and Bitty. So. Much. Perfect. I sighed and squeed out loud. "What's going on? Do I need to kill something for you?" Of course, it's not all about these two, we still have Xcor to contend with (he kind of kind of gets his just desserts in this book and I loved that) and Layla's pregnancy. I loved seeing Qhuinn and Blay interact with her and how the entire Brotherhood were there for all three of them. 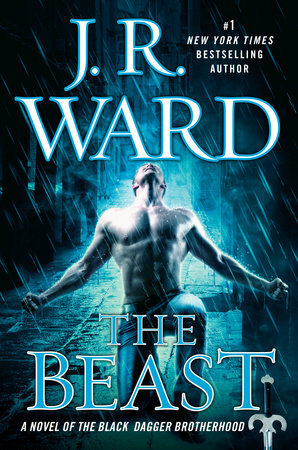 There's also an human element in this book when Jo's friend record the beast during a battle and she starts looking into things. She gives up in the end but what she choses to focus on will bring her back to the world of BDB and closer than before. I can't wait to see the implications her discoveries have on not just herself but the Brotherhood. This is hands down one of my favourite BDB books. It takes us back to the good days when this series started and I really think it's a turning point for me with this series, I just hope it stays this way and the series is on an up.